Steve has appeared in concert twice with the "Great Guitars". 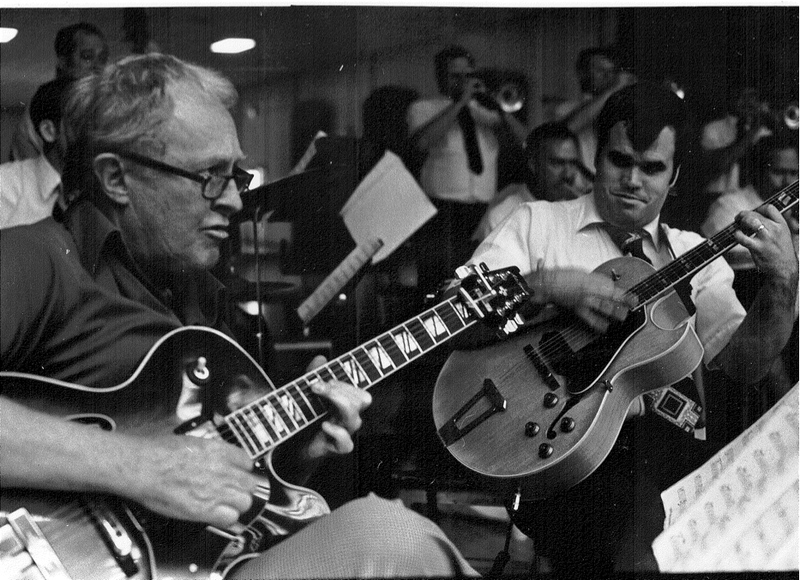 Once, back in the 1980's with Herb Ellis and Charlie Byrd, (filling in for Barney Kessel), and recently with Bucky Pizzarelli and Frank Vignola. Abshire was a member of various Navy Bands for 24 years, from 1973 to 1997. Steve landed the position of guitarist/featured soloist with the Commodores, the U.S. Navy's premiere jazz ensemble, for 18 of those years until He retired in 1997. Steve has performed in Europe twice at the famed "Jazz In Marciac" jazz festival in Marciac, France. Abshire joined the faculty at the Levine School of Music in Washington, D.C. for five years and presently teaches guitar privately. As a clinician, Steve has given Master Classes in guitar and rhythm section techniques at the Armed Forces School of Music, James Madison University, Elon University, and various other local colleges and high schools. Steve can be found on numerous recordings, including six of his own. In 1987, his first, "Big Brass Bed Blues" received a 4 1/2-star rating from Downbeat Magazine, which called him "...fluent, assured, directly co﻿m﻿mun﻿﻿icative...definitely one to watch". His latest project, "Between Friends", is collaboration with long time friend and master guitarist Steve Herberman. It is a collection of musical conversations between two good friends. Released on the "Mainstay Music" label.